performers who carry out creative activities to convey a copyrighted work to the public. presented in spoken languages and must be fixed in a certain material form. persons that provide funds and physical and technical foundations for creation of computer programs, and authors of such programs may reach agreement on the right to title such programs specified in Clause 1, Article 19 of the Intellectual Property Law and the modification and upgrading of such programs specified in Clause 4, Article 19 of the Intellectual Property Law. benefits as agreed with copyright holders. poem, folk song, proverb, riddle and other similar forms of expression. 1. Organizations or persons managing anonymous works may transfer rights to such works to others and are entitled to remuneration from such transfer. 1. Owners of broadcasts specified in Clause 3, Article 44 of the Intellectual Property Law are broadcasting organizations which provide funds and physical and technical foundations for broadcasting activities. 10. To amend Point a, Clause 1, Article 39 as follows: “1. 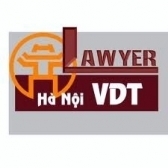 The Copyright Office of Vietnam is competent to grant, re-grant, renew and invalidate copyright registration certificates and related rights registration certificates specified in Clauses 1 and 2, Article 51 of the Intellectual Property Law. a/ The collection and division of royalty, remuneration and material benefits by organizations acting as collective representatives of copyright and related rights must adhere to the principle of publicity and transparency. b/ Organizations acting as collective representatives may retain an appropriate portion of collected amounts of royalty, remuneration and material benefits to cover expenses for the performance of their tasks as agreed with authorizers. The money amount to be retained shall be adjusted in conformity with the effectiveness of collective representation activities as agreed with authorizers and may be determined as a percentage of the total collected amount. c/ The collection and division of royalty, remuneration and material benefits from corresponding foreign or international organizations comply with foreign exchange management regulations. 4. Organizations acting as collective representatives of copyright or related rights shall make biannual, annual or extraordinary reports under Point c, Clause 3, Article 56 of the Intellectual Property Law as follows: a/ Reports to be sent to the Ministry of Culture, Sports and Tourism, the Ministry of Home Affairs and the Ministry of Finance have the following details: amendments or supplementations to the operation charters or regulations; changes in the leadership; participation in international organizations; other external activities; rates and modes of payment of royalty, remuneration and material benefits; long-term and annual programs and plans; operations, conclusion of authorization contracts and use licensing contracts; collection, levels, modes and methods of dividing royalty, remuneration and material benefits; and other related activities. b/ Any modifications to charters must be reported to competent authorities for approval before realization." a/ Payment of royalty, remuneration and material benefits must assure the interests of authors, users and the public and suit national realities. b/ The level of royalty, remuneration and material benefits depends on the category, form, quality, quantity or use frequency of works. c/ Co-authors or collectives of authors shall reach agreement on specific rates for division of royalty and remuneration based on their creative contributions to the works in conformity with the form of use. d/ Authors of works and organizations or persons that carry out performances or make phonograms, video recordings or broadcasts for children or ethnic minority people; Vietnamese creating works in foreign languages, Kinh persons creating works in ethnic minority their mother tongues; persons creating works under difficult or dangerous conditions or in other special cases are entitled to additional royalty, remuneration or material benefits as consolation. e/ The use of copyright and related rights and payment of royalties, remuneration and material benefits must be carried out under written contracts according to law. f/ Agencies and organizations funded with the state budget and state enterprises shall estimate expenses for payment of royally, remuneration and material benefits within state budget allocations and other revenues according to law. “4. Copyright and related rights protected under documents which look effect before the effective date of the amended Intellectual Property Law shall be further protected under the amended Intellectual Properly Law, if their term of protection has not yet expired. Copyright and related rights registration applications already submitted to competent processed according to the provisions of law applicable at the time of submission of applications. 1. Ministers, heads of ministerial-level agencies, heads of governmentattached agencies, chairpersons of provincial-level People’s Committees and organizations and persons with related rights and obligations shall implement this Decree. 2. The Minister of Culture, Sports and Tourism shall guide and organize the implementation of this Decree.